The teeny, tiny fleet – HubNut – celebrating the average! So, I have sold the most powerful vehicle in the fleet – a throbbing 71bhp and have left myself with a tiny fleet – 1591cc and just 83bhp between the pair of them. It was the right decision. 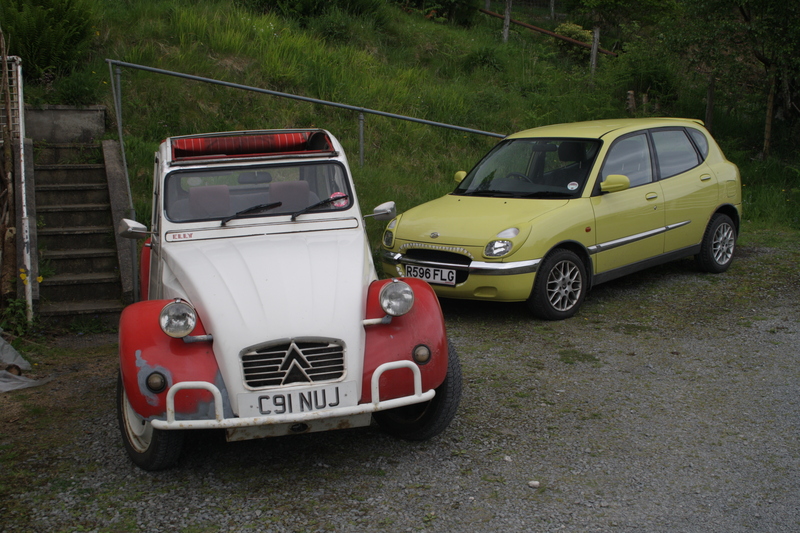 These two feeble machines provide an enormous amount of entertainment and both are in the cheaper road tax group. I get a huge amount of pleasure from thrashing them around the wonderful Welsh roads and they still better 45mpg. Lovely. The BX was fun and economical too, but it was time to move on. It was the right vehicle when I bought it, but I’m hoping it’ll be easier to focus on the various maladies of just two cars. In these power-crazed times though, I like ignoring ‘sage’ media advice from Top Gear and the like, that suggest we need more and more powaaaaargh. No, we don’t. Powerful cars are very exciting. For a few seconds. Then you’re left either frustrated that you can’t explore the full potential of the car at legal speeds, or in trouble because you have explored the full potential of the car at illegal speeds. The most powerful car I’ve driven on the road had over 400bhp and felt like you could out-accelerate time. Yet I came back from the test drive realising I couldn’t hit the red line in any gear but first without breaking the National Speed Limit. It’s like being given the keys to the chocolate factory and being told you can eat no more than one chocolate bar. Insanely frustrating. The only downside really is overtaking, which requires bravery, technique and a lot of anticipation. The main issue is that you get ‘mugged’ by more powerful, modern stuff which can accelerate swiftly while my pair need a bit of a run up. You can’t just put your foot down more if something suddenly appears coming the other way as you’re already flat out! One alternative is to sit back and just enjoy the view. It’s quite a nice view in these parts. In the future, I do want another waft-barge, as I anticipate there’ll be a fair bit of distance driving to cover this year. I’m in no rush though. For now, I shall enjoy unpowerful motoring. 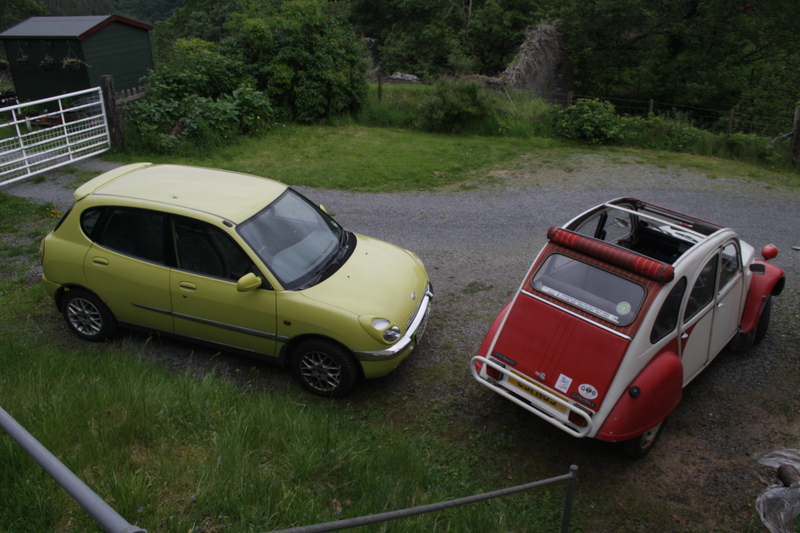 The next priorities are further 2CV smartening and a bout of welding for the Daihatsu. Let’s see whether I can resist buying anything until those are done.